What a naughty boy Squizzer is! He thought he would tuck into the suet this morning. I took this before I chased him off. Thank you for all your kind comments and Favs. It is always much appreciated. Lovely crisp shot, Rosie. I have at least two squirrels visiting the garden and stealing the bird food. 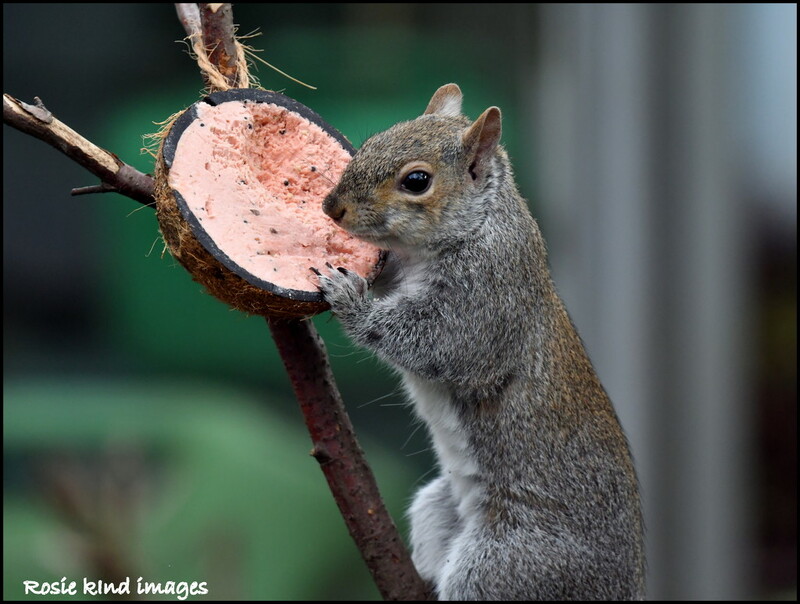 They rarely seem to go for these coconuts, they prefer the peanuts and sunflower hearts. He looks so pleased with himself. Well captured! Super capture of this guy. They are so cute when they are up to no good.